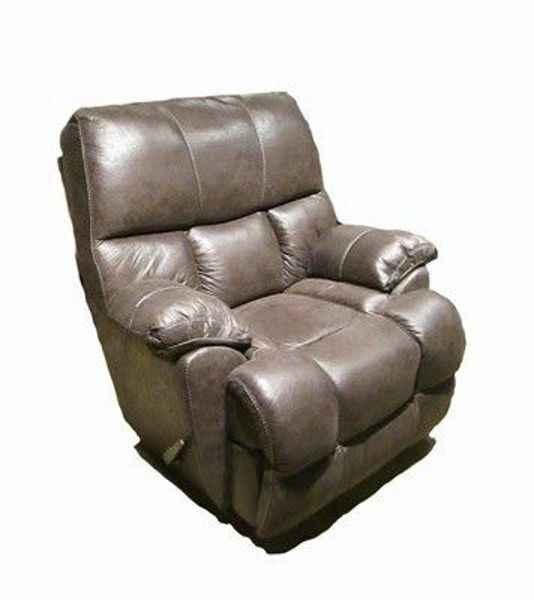 The recliner is large scale and is featured in a rich brown fabric that mimics worn leather. It has padded arms and back and has a deep sink in comfort design. The recliner is available in a brown leather match. The recliner is made in America.